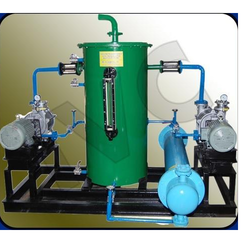 Prominent & Leading Manufacturer from Ahmedabad, we offer close loop water re-circulation system of single stage. We have attained wide expertise in exporting and supplying highly reliable Close Loop Water Re-Circulation System of Single Stage. Our offered systems are well applauded in the market for their high circulation efficiency and resilient design. Owing to their procurement being performed from well-known vendors, these systems are offered to clients possess durable impellers and easy-installation traits. Furthermore, we make efficient use of warehousing facility for their durable packaging. Looking for Close Loop Water Re-Circulation System of Single Stage ?